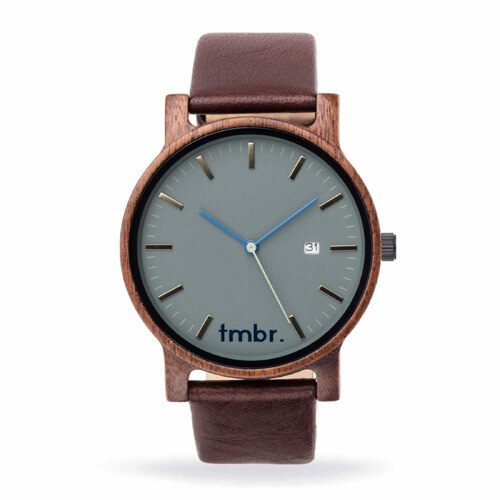 Handmade Wooden Watch Box Personalized - Create Your Box | Tmbr. Create a personalized handcrafted wooden watch box to go along with your engraved wood watch. We will laser engrave your personalized message onto the top of the box in your selected font type. Perfect for a Father's Day Gift, Wedding Anniversary and Graduation Gift. (Line 1) Happy Father's Day! (Line 2) We Love You! *watch in photos not included. 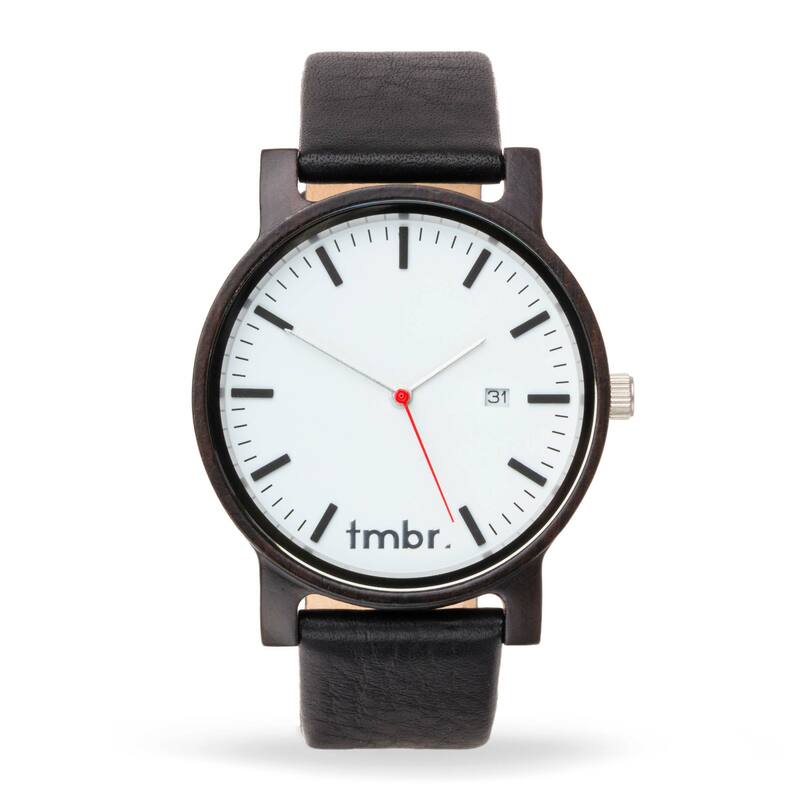 - Comes with pillow for watch. - We will engrave up to 200 Characters onto the top of the box. 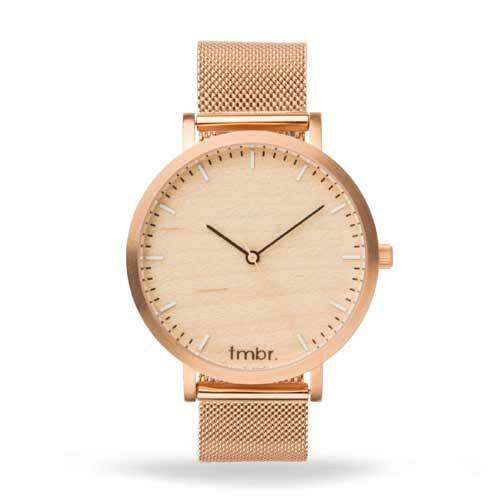 - Handmade from pine wood. 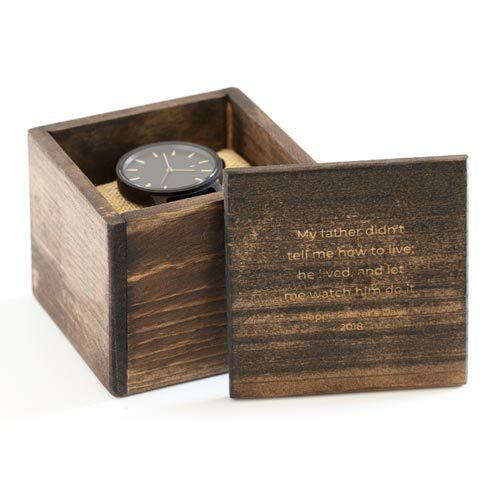 Giving a gift should be special and always remembered, and that is why we created our personalized wooden watch boxes. It's another way to show your appreciation, love or even a funny joke with who you are gifting it to. Each box is made and stained in house and designed to provide a safe place for the watch even after the watch has been opened and worn. We have a list of over 100 gift engraving ideas if you need a little inspiration for what to engrave on the top of the watch box.